India and Switzerland have a long-standing collaboration in biotechnology (Indo-Swiss Collaboration in Biotechnology, ISCB). The collaboration is a project of the Swiss Agency for Development and Cooperation (SDC). For the period 1999 to 2004 a new ISCB-programme has been developed. The Agency BATS has actively contributed to the formulation of the objectives of the programme and to the evaluation of research proposals, providing expertise in transsectoral topics, i.e. biosafety, regulation, technology assessment. For the assessment of the impacts of Golden Rice an approach was chosen that could have a model character for similar projects. A principal goal is to establish capacity for technology assessment (TA) in India. The Centre for Biosafety Assessment, Technology and Sustainability (BATS), Basel, has organized the TA knowledge transfer. Two Indian scientists from the National Centre for Agricultural Economics and Policy Research (NCAP), New Delhi and National Institute of Nutrition (NIN), Hyderabad, are being trained in the management of TA projects at BATS. TA/NA methodology covers defining the scope for the study, assessment issues, valuation criteria, project organization issues etc., Additionally, the initiative relates to a larger framework of capacity building for the valuation of new technologies with respect to their economic, ecological and social benefits and potential risks particularly in developing countries and countries in transition. A key aim is to enable the trainees to transfer knowledge, concepts and skills that are appropriate and applicable to the recipient country. A particular intention is to set up an in-country capacity in order to establish TA as a tool for the assessment of future technology transfer and implementation projects. Dr.P.Adhiguru done his Ph. 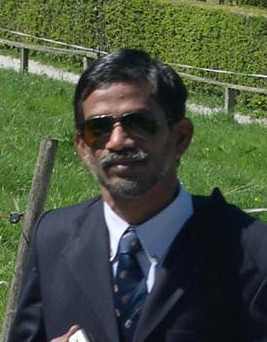 D from Indian Agricultural Research Institute, New Delhi and is presently working as Scientist in NCAP, New Delhi. Some of his significant research projects include “Agriculture Based Interventions for Sustainable Nutritional Security", ‘Impact of National Agricultural Research System in India”. He was involved in “Impact assessment on sustainable rainfed project” sponsored by World Bank. Some other research areas of interests are, integrated pest management, biosafety assessment, biotechnology, ex-anti assessment of technology, technology forecasting, technology/institutional interventions, Information and Communication Technology applications, e-learning, personnel management in research organizations, gender issues, agricultural extension methodology etc. He has published many articles in journals, chapters in books. The significant ones are project based Policy Paper on Agricultural Interventions for Sustainable Nutritional Security and a forthcoming article on “Innovative Institutions in technology dissemination: role of information technology”. He has undergone training in the areas like Participatory Rural Appraisal (PRA) methodology, project management for research and development, rural and agricultural development, organizational behavior, educational technology and administrative rocedures, scientific information management. Further, he has participated n an International course on Agricultural extension and training methodology ponsored by Japan International Co-operation Agency and also a training workshop n search conference and scenario building as a tool in Technology Assessment Need Assessment methodology organized by European Union. He has computer expertise in Analytical packages (e.g. SPSS, Relational Data Base Management, (e.g Access, ORACLE), Web Programming and Internet Technologies, MS Office. He is member secretary, Publication Committee, and also for Institutional Change theme area of the Centre. 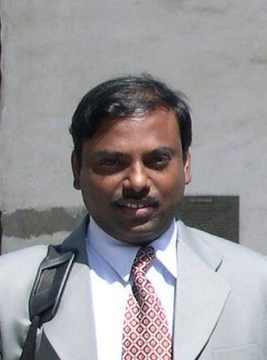 Dr. Harikumar, a public health specialist in the division of field studies of the National Institute of Nutrition, has experience in project planning and implementation of large community trials on double fortified salt, for the control of Iodine deficiency anaemia and Iodine deficiency disorders. The other areas covered are “Assessment of bio-effect of sugar fortified with vitamin A, “Evaluation of national nutritional programmes on vitamin-A and iron and folic acid supplementation” and “Evaluation of Integrated child development services” and the “Mid-day meals programme” in India. He acquired skills of assessment of nutrition status by diet surveys, anthropometry, clinical malnutrition and blood chemistry. He is trained in management of primary health care, Surveillance, epidemic preparedness and the response and project planning and implementation. His contributions are scientific papers on “Nutrition profile of Indians, Mid-day meal programme, Drought in Gujarat state”. He is also a faculty member of the post graduate training programme on “Applied human nutrition”, conducted by the Institute.